Koa is a Video Intern or “Vintern” at ʻUluʻulu. 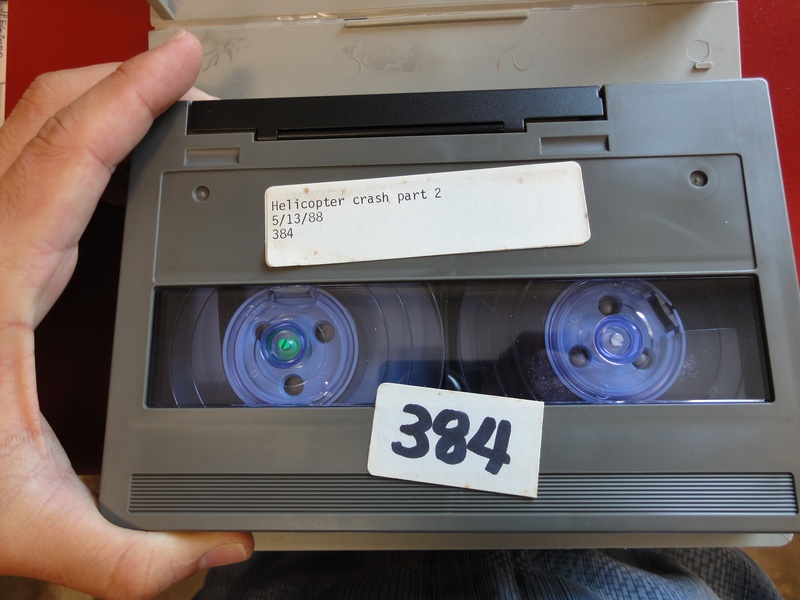 His current projects at the archives include collection inventories, producing a Video Basics tutorial for volunteers, writing Blog posts, and cleaning 3/4” Umatic videotapes. Today at the archives I experienced the exciting process of cleaning and prepping a video for digitization! 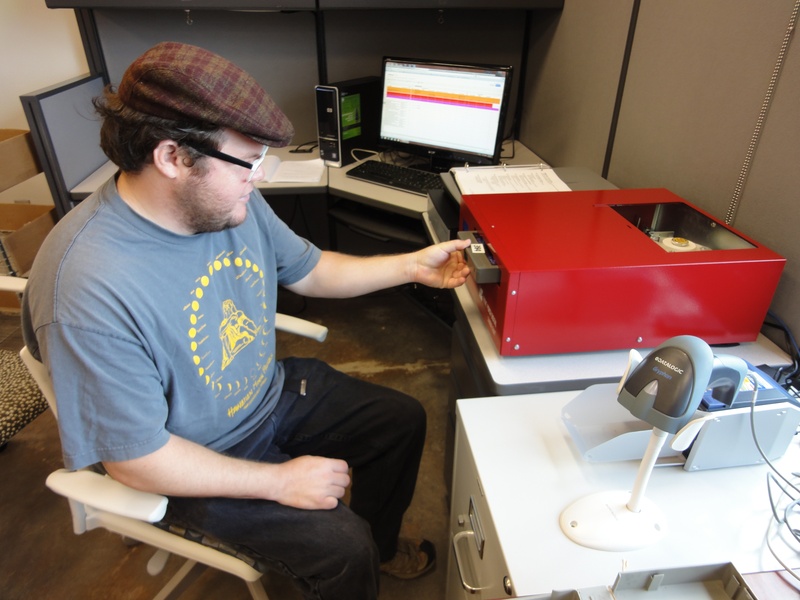 When a tape is accessioned into the archive, the tapes are carefully inspected for mold or crystallization. If the tape is moldy we place it into a special quarantine area so that it will not contaminate the rest of the collection. 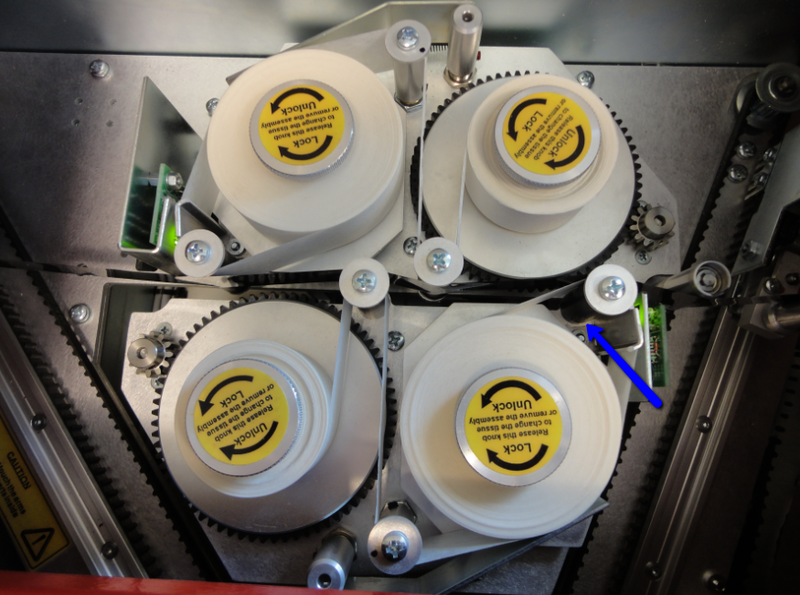 If crystalline deposits appear on the tape, the image quality may be compromised. 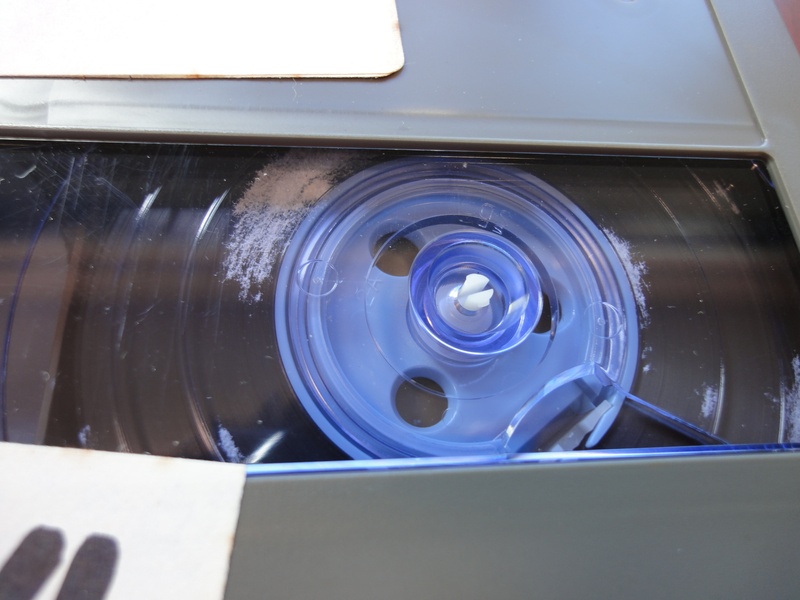 Crystalline deposits can appear on older tapes housed in humid or high temperature storage areas. But fear not, the tape can be cleaned through the magical machine SAMMA Clean developed by Front Porch Digital. ʻUluʻulu uses SAMMA Clean not only to raise the quality of the tape image for digitization, but to preserve and prevent further deterioration of the images on the tape. Before a “dirty” tape is digitized, it must go through the SAMMA Clean. When we place the cassette into the SAMMA Clean Machine the first thing it does is rewind the tape to the beginning, this will make the cleaning process more efficient. Then the tape goes through a forward and reverse pass returning to the cassette. With each pass the tape runs through rolls of pellon cloth removing any dust or in this case crystals from the surface. After the tape is returned to the cassette, data from the process is generated and added to the catalog’s item record as metadata. The three different categories added to the record are: tissue dirt, torque (how tight or loose the tape is wound) and reflectivity. Just another exciting day at ʻUluʻulu The Henry Kuʻualoha Giugni Moving Image Archives! After the SAMMA Clean process, the crystalline deposits are gone!